For those looking to purchase a new home immediately, KTS Homes has a number of exceptional options. The first is the award-winning Newport, located in the Parrot Cay neighborhood within the resort-style community of Naples Reserve. The Newport, a California-coastal contemporary home, is a three-bedroom plus study/two full-bath/two half-bath plan with 3,030 square feet under air and 5,285 total square feet, including an expansive outdoor living area and a side-entry, three-car garage. It is priced at $1,500,000 with furnishings. KTS Homes also has the Newport II available in Naples Reserve. It is designer-ready, meaning prospective buyers may choose certain design finish options, making it a true custom home to fit your every need. KTS Homes will be breaking ground on a third home in Parrot Cay in late January. 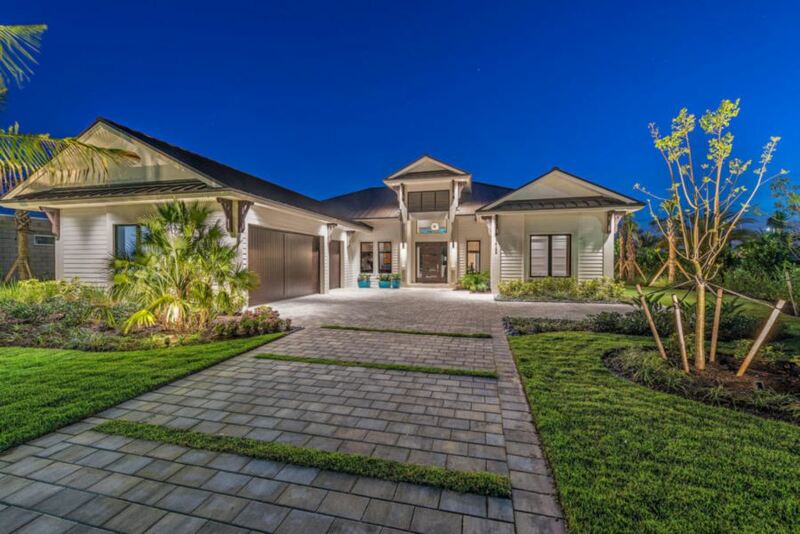 Naples Club Estates encompasses 155 acres, but has just 28 custom homes. KTS Homes is one of the exclusive builders in this popular community. It has already completed one home, started a second this past fall, and has a third homesite prepped and ready to go. A number of other exceptional homesites are still available. “If an owner is looking for a large homesite in a private community, yet wants to be within minutes of downtown Naples, the beaches, great shopping and dining venues, Naples Club Estates is ideal,” stated Scott Kish II, the principal of KTS Homes.